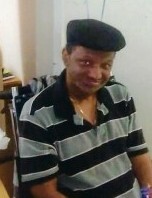 Mr. Ivory Lee Singleton was born in Lacoochee, Florida on February 11, 1955 to the late Oscar and Mable Brown. He attended school in Pasco County, moving to Sebring, Florida as a child, and back to Lacoochee as a young adult. Ivory was always full of life, often making those around him laugh. Ivory was preceded in death by: his parents, Oscar and Mable Brown. Ivory is survived by his children, Linda Fay Hambrick (Shawn), Ivory Hamilton, Latoya Jones (Reggie), Mabel Singleton, Shonda Hall, Syrica Larry (Demetrius) and Tyshenna Walker (Adrain); siblings, Adosa Brown, Anthony Brown (Elana), Gloria Singleton Sanders (Selvestor), Janice Hyman (George), Lewis Brown, and Robert Walker (Eugenia); special family, Royal Oaks Nursing Home patients and staff. Ivory is also survived by a host of aunts, uncles, grandchildren, nieces, nephews, cousins, and friends.